Simply fill out our Free, NO obligation application online! Apply Now! Financial assistance for tuition, housing and CDL fees. Employment assistance in all types of trucking jobs including over-the-road, regional, and local. The Diesel Truck Driver Training School, Inc. is to be recognized as a leader in vocational education by providing a well-designed, up-to-date training program taught by instructors who are experienced and knowledgeable in the field of truck driving. The instruction/management team provides leadership in establishing a curriculum which is aligned with new regulations and trends in the industry. School staff is dedicated to assisting students and graduates in achieving their career goals of obtaining employment as truck drivers. Now that you know a little about us, let's get you started. You can request free information and simply apply online for free with NO obligations. FREE Brochure - OR - Apply Online! This course is a combination of classroom training in basic skills such as the pre-trip inspections, coupling/uncoupling, backing and other close quarter maneuvers. In the classroom, experienced instructors will describe and demonstrate these skills with an emphasis on why they are important for your own safety and the safety of everyone on the road. This program is our advanced course and includes everything in the Basic program PLUS! 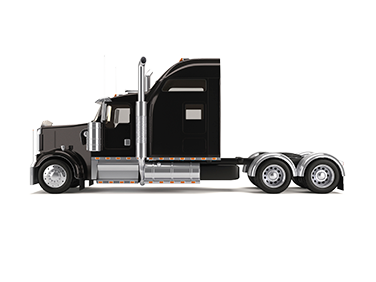 This is a complete program which takes you through the CDL rules and regulations. It also prepares you to take the written test for your Class-A CDL Learner’s Permit. Graduates of Diesel Truck Driver Training School receive free lifetime career/employment assistance. We provide the tools, resources, and assistance that are an essential part in our graduates finding employment. Financial assistance can cover the cost of your housing at the WaterTower Residence Inn. Upon enrolling into any of our training programs, we will reserve a room to cover your total length of training. Career loans can be used to pay for tuition, housing, and other training expenses. Applicants should submit an application online. If you need help with completing your application, give us a call we will do one over the phone. Our CDL preparation classes are designed for the person who needs help learning the details of the CDL written exams. These classes are absolutely free and there is no obligation. We have a profound respect for all those who serve in the military and sacrifice for our country. Therefore, we strive to put forth the maximum effort and consideration for all military veterans who wish to attend DDS. I started my own business and bought my own truck. I haul excavating equipment and fabricated steel for buildings to a company based out of La Crosse, WI. I really enjoy my job and thanks to DTDTS I was able to land this job. Because of my hands-on training at Diesel Truck Driver School, I was able to get the Class A CDL I have always wanted and land a job as a regional truck driver through Swift Transportation. Since I have graduated I drove a 28 foot straight truck out of Chicago. When that did not work out I was hired by LCL Bulk Transport. I drive over the road hauling liquid chocolate. If it wasn't for Steve and Bill who were very patient with me, I don't know if I would be where I am today. Thank you all very much. I’m doing what I love, I’m working for C.R.England out of Salt Lake City, UT. The test and driving skills I learned at DDS came easy due to the hands on training. I’m a lease owner operator and over the past seven months I have traveled over every state and hauled a variety of goods. The school helped me get a job lined up before I graduated and now I am making twice what I was making before I came to school. The post Top Tips for Driving During RV Season appeared first on Diesel Driving School. 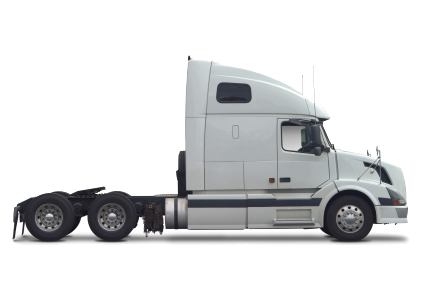 The post How to Obtain Your CDL Permit appeared first on Diesel Driving School. The post Fast Food – latest on Driver Shortage appeared first on Diesel Driving School. The post Trashmen – Love or Hate Them appeared first on Diesel Driving School.